My 12v power point will not power my 12v air compressor? It just cuts out when I switch the compressor on. Southpaw and LAS like this. Yes. 5 amps max load exceeded. Battery direct only. Rick92040 and LAS like this. 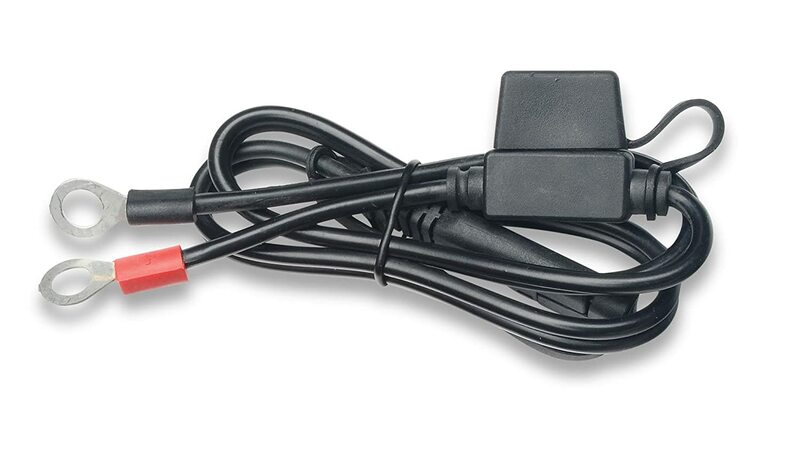 To amplify, any device that you connect to your bike that has a 12 volt power requirement of over 5 amps will exceed the limit of the bike’s CANBus system. You can bypass the system by connecting your 12volt device directly to the battery or a connection such as a PDM60 or Neutrino that has a built in relay. Most folks add an extra 12 V oultlet to their bikes, which they onnect that way for tire pumps, heated gear, battery tenders etc. Many dealers do so automatically at time of purchase as a courtesy. Guess I’m going to fit a direct 12v socket to my battery. The lead Bob shows is the best plug, convert your pump to it and you can hook up an Optimate anytime too. Are details allowed on this forum? Probably not. Can you pm them? I've got a lead like Bob posted on my bike for using the Battery Tender and I've got a cigarette lighter-type plug that goes into the end of the lead for connecting my compressor. Came from Amazon, naturally. Some battery tender leads are quite thin as a typical tender draws an about 1 1/4 amp. The leads may have a 2 amp or a 3 amp fuse. A compressor will draw 7ish amps or more. Make sure the harness to the battery can handle at least 10 amps and is fused accordingly. I use a harness that was made for heated riding gear. It can handle the draw of my compressor. Another solution is to re-wire the stock accessory outlet such that it is directly connected to the battery. What's the amperage rating on that? So many of those are 18ga and not really up to 10A continuous.